LOWEST PRICED THREE BEDROOM IN TERRAVITA, a guarded gated North Scottsdale private golf community. 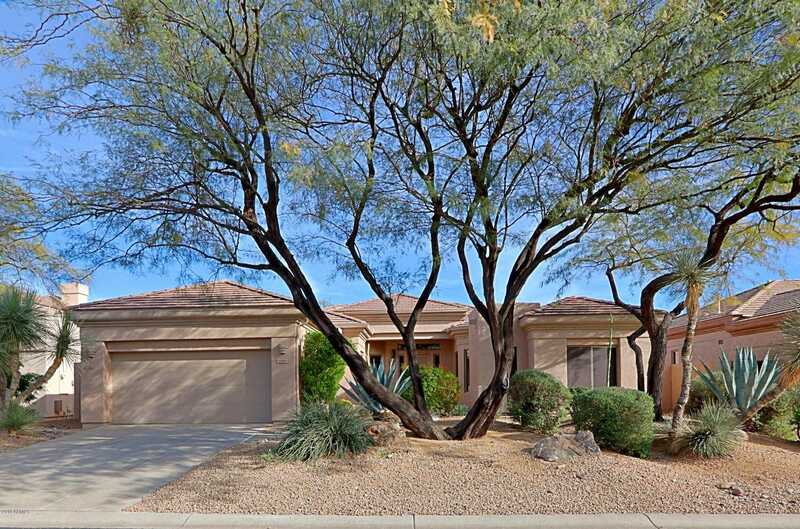 This beautiful home is the Stella model with an added Arizona room. The home has two NEW Train AC units, FRESH interior paint, NEW carpet throughout and NEW epoxy floor coating in garage. Also features an outdoor living space that is great for entertaining with kiva fireplace, built in BBQ, granite water feature and plenty of seating. The member-owned private golf club, tennis courts, fitness center and resort-style swimming pool offer a few examples of the year-round, active lifestyle amenities at Terravita. Approximate size: 7745.00 sq. ft. Please, send me more information on this property: MLS# 5859786 – $459,900 – 33667 N 71st Way, Scottsdale, AZ 85266. I would like to schedule a private showing for this property: MLS# 5859786 – $459,900 – 33667 N 71st Way, Scottsdale, AZ 85266.